Jhargram Raj was a feudatory kingdom which occupied a position in Bengal province of British India. The kingdom came into being during the later part of the 16th century when Raja Man Singh of Amer was appointed the Dewan of Bengal, Bihar and Orissa by Mughal Emeror Akbar the Great. Legend says that around 1592 CE, Man Singh had come to conquer Bengal on behest of the Mughals from Rajputana (Rajasthan) to expand the Empire to Eastern India. He appointed one of his loyal Generals in the army, Shri Sarveshwar Singh, to defeat the local rulers of the region known as Jungle Mahal. The area belonged to the Mal kings, who were ancient warriors and a powerful dynasty in the eastern part of India since the time of the Mauryas and the Guptas. Sarveshwar Singh, together with the Rajput military and cavalry, invaded the deep forest and vanquished the Mal rulers. In order to commemorate this victory he adopted the surname, Malla Dev which became part of the name and style of his descendants. Hence as a royal tradition every year an idol of Mal Raja is made and slain on the day of Vijayadashami. After the campaign, Raja Man Singh decided to return to Rajputana and granted Mansabdari (tributary vassal kingdom) of the entire Jungle Mahal region to Sarveshwar Singh as a reward. The Rajas ruled their dominions and estates from present day Jhargram Palace, they had 8 sardars under the system and one Sub Zamindar of Beliaberah. Indra Puja, Dol purnima and Durga Puja were the main festivals of the Kingdom. Indra Puja was the festival celebrated with great pomp and splendor as here Lord Idra was worshipped for good rainfall, harvest of crops and prosperity of the kingdom. The festival used to stretch for about a week and a famous Ind Mela (Fair) was organized. On the last day of the festival the Raja made a public appearance as he was carried in a Golden palanquin to the Maha Sabha (public gathering) where he used to interact with his pupils and the Modouls (Village Subedars) and after his kind consent the Artha Mantri (Finance Minister) used to declared the economic budget followed by the new barter system for goods and services. The festivals and rituals of Indra Puja and Durga Puja are still organized and performed by the Royal Family. Between 1741-1751, the Raja of Jhargram fought three successful battles against the Maratha invasion alongside the Raja of Bishnupur and the Nawab of Bengal and consolidated control over the kingdom making himself a dominant king in the western part of Bengal. He unified all Rajput kingdoms in Bengal against the campaign of Marathas who were much imperialists as guerilla bandits knows as Bargi in Bengal. They were much interested in capturing booty than territory, specializing in lighting raids of frequently devastating violence. During the reign of the 12th Raja Shyam Sundar Malla Dev, several administrative innovations were introduced which initiated growth of wealth and prosperity of his kingdom. But as a king he also became involved in conflicts with his neighbors, including the Maharaja of Mayurbhanj which ended with Jhargram signing a treaty, as per which he had to surrender the territory of Gopiballavpur to Mayurbhanj. Raja Shyam Sundar realized that the British were a new kind of threat to his kingdom.He then worked on to check the advances of the British by allying with the Raja of Dhalbhumgarh and the Nawab of Bengal. He defeated Colonel Fergusson at Dudhkundi near Kharagpur in 1791 when the East India Company tried to enter Jhargram. Fergusson’s forces, consisting of 100 Europeans, 300 cavalry, 1400 sepoys and 10 field pieces, was the standard size of the colonial armies. But the second time the joint forces were defeated at Radhanagar by the British army in 1793, ending thereby the last hurdle to the colonial conquest of Bengal, hence the treaty of Midnapore confirmed the surrender of Jhargram and Dhalbhumgarh to the British. But soon the British Governor of Bengal endorsed his stature and recognized Jhargram as a Zamindari estate as a permanent settlement. The rulers of Jhargram were benevolent and progressive, and they focused on the welfare of their subjects. many territories of the state were donated by the Raj family to their Sabha Pandits (Scholars), poor Brahmins who later on become the proprietors of the area and recognized as Zamindars.In 1899, Raja Raghunath Malla Dev established the first English primary school so that the young generation could be exposed to Western education in his kingdom and built Jhargram Railway Station for the Bengal Nagpur Railway. He was also an avid wrestler and was known for miraculous physical strength. His wrestling instruments are still kept in the Palace and Calcutta Museum. 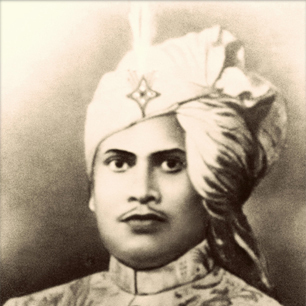 Raja Sir Narasingha Malla Dev, the last titular king of Jhargram, is considered the father of modern Jhargram. He also founded several schools, colleges and hospitals for the welfare of the pupils and was conferred with Officer of British Empire and Knight of British Empire, granted the King George V Silver Jubilee Medal, served as a member of the Legislative Council of Bengal and also a member of Parliament-Lok Sabha after India attained independence. He donated wealth and land towards welfare causes of his subjects and poor farmers. His beneficiaries ranged from the Kolkata Bangiya Sahitya Parishad to New Delhi Kali Bari, making him the single largest land donor in Bengal.